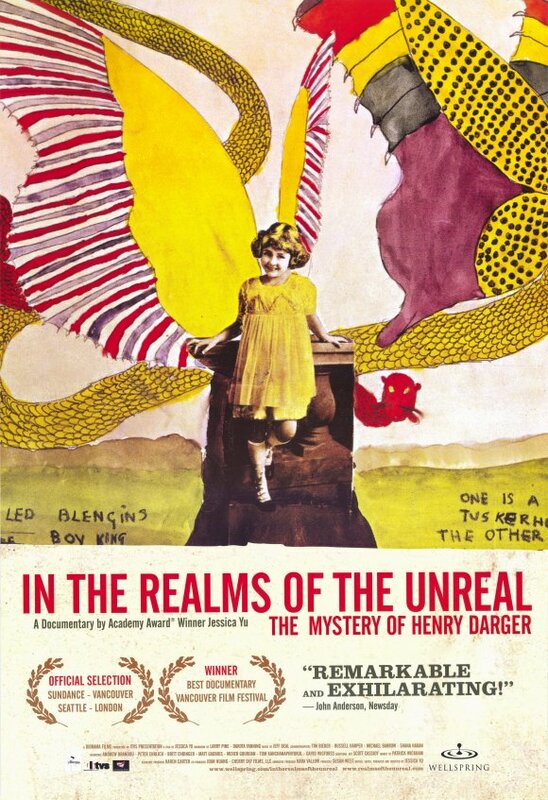 We wish to invite to the screening of the documentary titled In the Realms of the Unreal devoted to the work of Henry Darger. The film is an opportunity to learn more about the artist and writer whose works can be admired at the exhibition The Great War. Henry Darger is known as the author of illustrations to his novel called The Story of the Vivian Girls, in What is Known as the Realms of the Unreal , of the Glandeco-Angelinian War Storm, Caused by the Child Slave Rebellion. This over 15,000-page single-spaced fantasy manuscript is an epic tale of heroic children fighting evil adults under the leadership of seven Vivian girl princesses. In his literary and artistic work, Henry Darger alluded to the American Civil War and to the First World War. His oeuvre was strongly influenced by his childhood spent at an orphanage and later at an asylum for feeble-minded children. In spring 1917 Darger was drafted into the U.S. army but he never actually fought in the battlefield. The artist composed his drawings of images traced from other sources and supplemented them with collage and watercolour techniques. His artistic practice has made him a precursor of post-modernist methods of appropriation and re-contextualisation of images. The screening is the accompanying event of the exhibition The Great War.